Altai: The Golden Mountains. Aktru. Climbing. Irkut river rafting, Eastern Sayan, Siberia. "Belukha: The Heart of the Altai". Trekking. "Belukha: The Heart of the Altai". Horse riding. "Altai-The Golden Mountains. Aktru". Trekking. Climbing. Freeride skiing. "Wild Altai". Altai. Trekking or horse riding. "Baikal: The Pearl among the Mountains". Siberia. Trekking. "Buddha in the Valley of Hundred Springs". Siberia. Sayan. Trekking or backcountry skiing. "Kuznetskiy Alatau: The Land of the Lakes and Flowers". Siberia. Teahouse trekking, trekking or backcountry skiing. "Kodar: The Siberian Alps". Siberia. Trekking. "Almaty to Lake Issyk-Kul". North Tien Shan, trekking. "To the Alakel lake". Terskey Ala Too, Central Tien Shan, trekking. "All the Hot Springs". Terskey Ala Too, Central Tien Shan, trekking. "To the Icy Giants of Central Tien Shan." Trekking. "Fan Mountains: The Land of Blue Lakes". Pamir Alai. Trekking. "Ak-Suu: The Asian Patagonia". Pamir Alai. Trekking. Under The Blue Sky of Kyrgyzstan. Horse riding. "Belukha: The Heart of the Altai". Trekking with climbing. "Altai-The Golden Mountains. Aktru". Climbing. "Khan Tengri - The Lord of the Sky". Central Tien Shan, climbing. Pobeda peak climbing. Central Tien Shan. Marble Wall climbing. Central Tien Shan. Two Summits: Marble Wall and Khan Tengri North climbing. Central Tien Shan. Lenin + Khan Tengri peaks climbing. Pamir and Tien Shan. Two great summits: Communism and Korjenevskoy Peaks climbing. Pamir. Lenin and Muztag Ata Peaks climbing. Pamir. "Fan Mountains: The Land of Blue Lakes". Pamir Alai. Climbing. "Big Walls of Pamir Alai". Pamir Alai, big wall climbing. Putorana Plateau: The Lost World Fishing Paradise. The Unknown Land of Tofalaria. Altai: The Golden Mountains. Aktru. Climbing. 10 days. Difficulty: easy to difficult, fixed dates Aktru Bash: medium, need of special skill and gear. other dates are available upon request. We recommend to plan at least 7 days for ther climbing tour. Altai - "The Golden Mountains" is the mountain land on the south of Siberia which keeps ecological purity and untouched wild nature so far. The communication with local people, many of whom are followers of exotic doctrines- pagans (Shamanists), followers of Roerikh and Old Believers - gives an unique social experience. 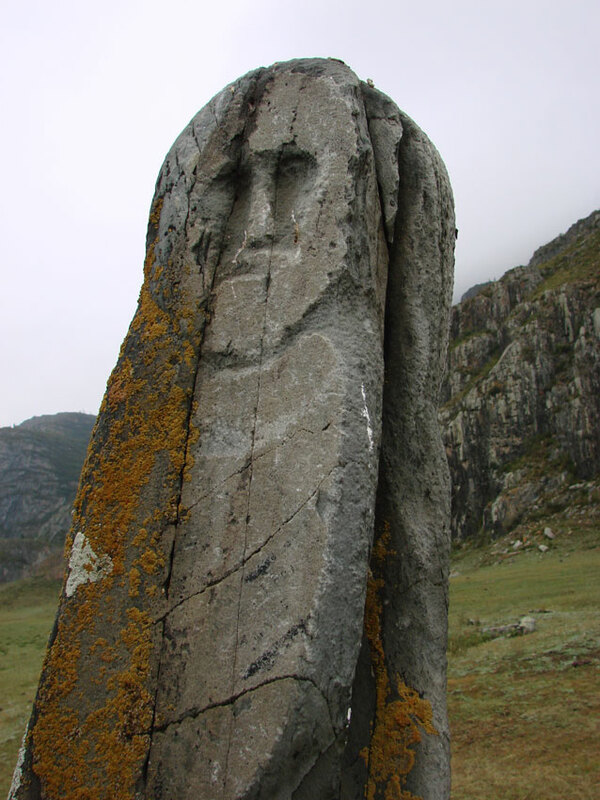 There are also many archaeological and historical sites to visit in Altai: from Stone Ages (1,500,000 BCE Down Paleolith Ulala sit in Gorno-Altaisk, Ust-Kan Cave Sit 600,000 BCE) to famous Pazyryk Scythian King's burial mounds, Elangash and Kalbak Tash rock art sites (the 1st is the World's 2nd Rock Art site- more than 40,000 petroglyphs! ), stone figures (Deer Stones, Kamenny Baba, Balbals) and many more! In 1998 The Golden Mountains of Altai were included to UNESCO World Heritage list. Aktru area (named after Aktru peak, 4074 m) is the highest part of Northern Chuisky Range (the highest summit is Maashey-Bashi peak, 4173 m. It offers variety of possibilities for trekking and climbing (from trekking peaks like "Kupol Treh Ozer" - "Three Lakes Dome", 1B UIAA, to Karatash North Wall, 6A UIAA). The unique feature of the area is the location of the "Aktru" mountaineering base - very close to Maliy (Small) Aktru glacier and it's availability by 4WD even in winter. The area also has good features for snowboarding and heliskiing. The important advantage is Aktru area is situated outside the border zone so it is no need to arrange border zone permit in 2-month advance. Day 1 Arrival to Barnaul. 12-hrs drive to Kurai village. Hut or ail (national Altai dwelling) accommodation. Day 2 4WD drive to the upper Aktru gorge through Kuraiskaya Steppe and. Numerous of archaeological artefacts (Scythian ant Turkish burial mounds) en route. Accommodation in mountain hut. Day 3 Acclimatization day. Lessons: usage of the equipment, belaying, self-belaying. Russian bania (sauna). Day 4 Acclimatization day. Climb up the Big Aktru Glacier to Blue Lake. Ice training, working in pair. 10 km, 7-8 hrs, +/- 900 m.
Day 5 Ascent to Uchitel Pass (3000 m, steep grassy slope). 6 km +/- 800 m, 6-7 hrs. Day 6 Rock climbing training. Work with the fixed rope. 8 hrs. Day 7 Climbing of the trekking peak "Kupol Treh Ozer" ("Three Lakes Dome"), 3556 m, 1B UIAA. Not technical ascent, main obstacles are: steep rocky slope at the beginning and the cover glacier on the very top. Magnificient panoramic views of the entire Mountain Altai from the summit! Return to the base camp. 6 km, +/- 1356 m, 10-12 hrs. Day 8 Spare/rest day. Training. Russian bania (sauna). Day 9 Climb up the Big Aktru Glacier to Blue Lake. Camp here. 7 km, 3-4 hrs, + 900 m.
Day 10 Assault attempt to Aktru Bash (4074 m) along East Ridge (2A-3A UIAA). Descent to Blue Lake or (if weather permits) to BC. 8 km, +/- 947 m.
Day 11 Descent to BC or spare day for a case of bad weather. Day 12 4WD drive to Kurai village. Change vehicle from 4WD to the car or minibus. Return to Barnaul. Hotel accommodation DBL BB. Day 13 Transfer to airport or railway station. Departure from Barnaul. Note. In a case of start from Gorno-Altaisk it is possible to reach the Aktru base same day. Cost: please for an offer! Included: meeting and seeing off in Barnaul, 1 night hotel accomodation (***DBL BB) in Barnaul and 11 nights in mountai hut and tents on climbing, transportation to the Aktru mountain base and return, all permits and local fees, visa registration, 3 times a day hot meals on the base, lunch boxes on climbing, group gear rental: tents, ropes, iron stuff, climbing guide, Russian bania - 4 times, rescue rangers team registration. Not included: Travel to and from Barnaul, visa fees, alcoholic beverages and other luxuries, personal items, insurance. Options. Visa support, personal gear rental, personal climbing guide service, climbing cook service. The arrival and departure point can be changed with Novosibirsk, Biysk or Gorno-Altaisk. 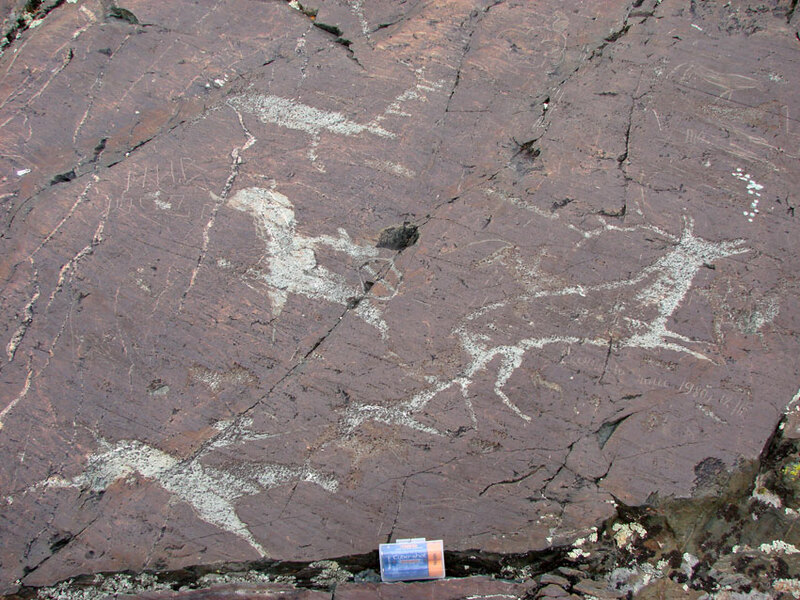 Additional exursions: Elangash Rock Art site (World 2nd Rock Art site, more than 40,000 ancient pictures! ), Kalbak Tash rock art site with famous "Aliens" and "Giant Monster" figures, Chuia Deer Stone (Scythian warrior monument and rock art site), Inia Stellas (Deer Stones), Pazirik King's burial mounds (Scythian culture, VII-II c. BCE). Gear rental. Optional climbing (see the peak list below). Any possible tailor-made trips are available! Just us of fill in the request form! Aktru gorge with Karatash Peak on the background. Camping in the Altai taiga. Aktru base and Sachki Lake. 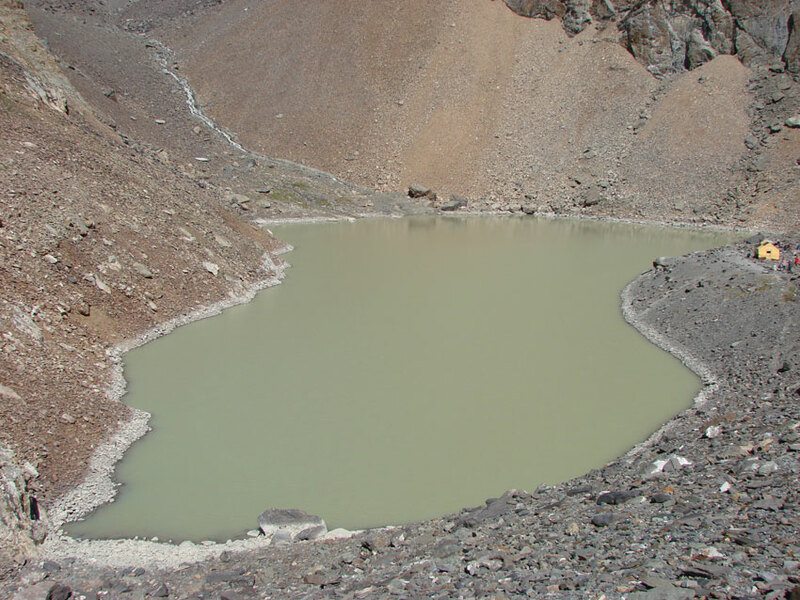 Maliy (Small) Aktru glacier. 3 Lakes Dome on the background. Aktru peak from Big Aktru Gl. Climbing Aktru Bash - on the ridge. Done! The summit of the "Three Lakes Dome"
Alpine meadow in Aktru area. 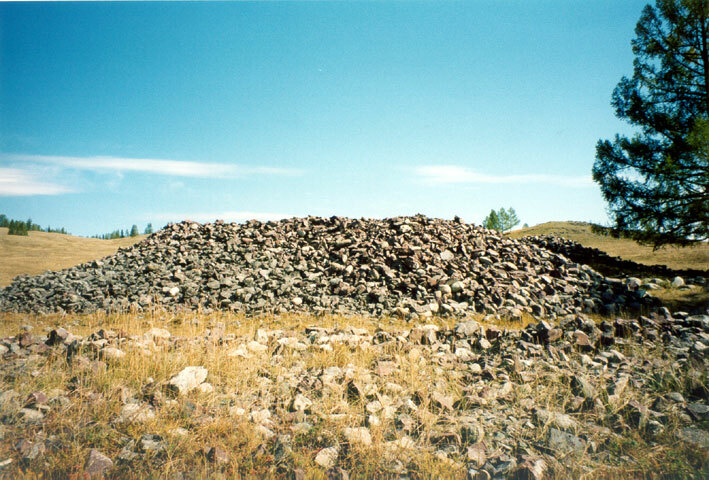 The famous 5th Pazyryk Tzar burial mound where the chariot, oldest woolen carpet and the mummies of the Scythian King and Queen were found (most of the artefacts are in State Hermitage, St. Petersburg), IV c. BCE. Chuya Deer Stone (the figure of Scythian warrior in the centre of ancient shrine includes the burial mounds and a rock art site as well. VII c. BCE. Kalbak Tash rock art site. Giant monster. Stone age, II millenium BCE. 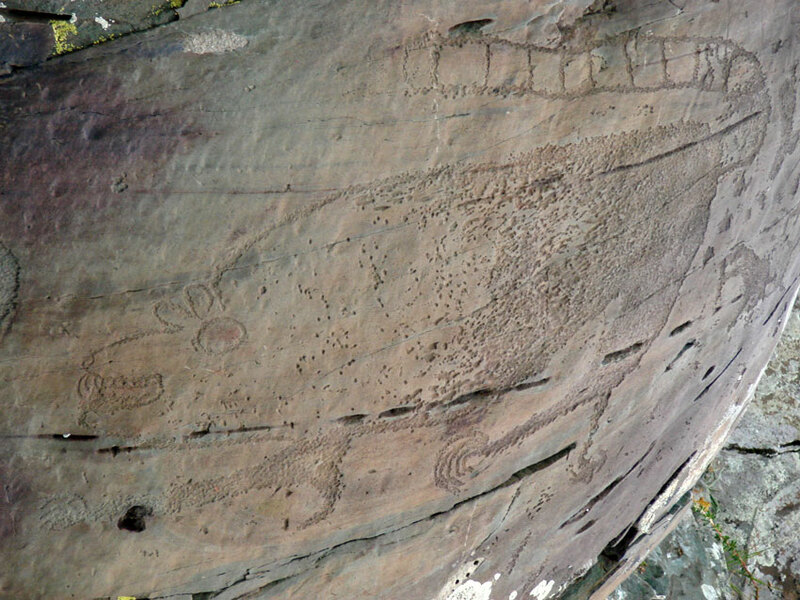 Elangash rock art site. Hunting scene. Read more about Mountain Altai! Book the tour "Altai - The Golden Mountains. Aktru. Climbing. "!